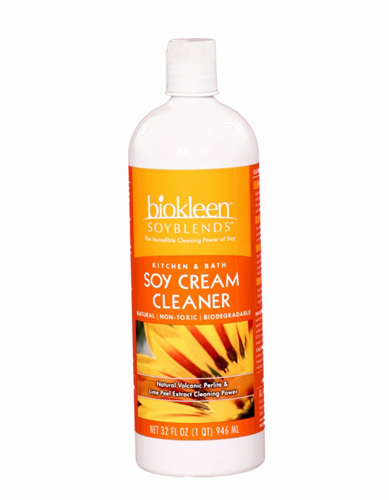 Our Soy Cream Cleaner effectively cleans, shines, and protects many surfaces without scratching, and without the use of toxic chemicals. INGREDIENTS: Soybean oil extract, surfantants from coconut and/or corn, xanthan gum, zeolite, low pH silicate, linear sufonate, food grade lime extract, less than 0. 2% environmentally-friendly polymer, natural volcanic perlite, filtered water.